If you have collected or desire to collect dynamic or static text-based data, or audio, video, photographic items, you’ll need a tool to help in the management, analysis, and expiration of your data. This workshop takes the perspective of a field researcher who uses data in the form of interviews, diary or journal entries, focus group discussions, journal article literature reviews, field notes, and memos to mention a few. In the old days, one made notations, markings or use punchcards to somehow tag their data so that looking back on the data, looking through their data was made easier to execute. But even the most modern techniques 30 years ago created arduous and laborious processes in the analysis of one’s research. While people adjusted to the demands of the day in pursuit of doing their research, it wasn’t a pleasant enterprise for most researchers. Computer-assisted qualitative data analysis software, even the earliest, most cumbersome, and difficult to use software was better than the “by hand” strategies and methods researchers had previously employed to get through their data. The history and evolution of computer-assisted qualitative data analysis software are beyond the scope of this workshop, however, suffice it to say, that the software available to researchers today is not only plentiful, it is also diverse in its capabilities and ease of use. We will use software MAXQDA in this workshop because it is both easy-to-use and powerful. MAXQDA now offers you all the tools you need to collect, transcribe, organize, analyze, visualize, and publish your data in one easy-to-use tool. In this workshop, we will explore how to get started with these tools using a Grounded Theory methodological framework. One of the major attractions of MAXQDA is its ease-of-use and we will be able to learn how to conduct a Grounded Theory-based analysis supported by MAXQDA in this one-day workshop. Another attraction is the multiple ways in which people can use the software. You may use just the most basic features of the software or you can get deep and dirty and use the most advanced features of the software. It is a kind of software that can grow with the researcher. You may pick and choose the things that you want to do and not think about any the other things. Once you have the foundation of how to use the software after this workshop, you will be able to apply the tools to any methodological framework you choose, not just Grounded Theory. The possibilities are endless and you can customize your analysis to fit your research project. Special thanks to Dr. Sharon Hicks-Bartlett for her input into the original design of this workshop. This workshop will be of most benefit to participants who are new to MAXQDA and want to learn both the basics of the program as well as receive an introduction to qualitative fieldwork data analysis methodology. Participants do not need prior MAXQDA knowledge for this workshop. Suggested readings: MAXQDA Getting Started Guide (2018); Corbin, J., & Strauss, A. (2008). Basics of Qualitative Research: Techniques and Procedures for Developing Grounded Theory – Selected chapters: 4, 5, 8 & 12. Participants will bring a laptop with MAXQDA 2018.1 installed on it. If you do not already have a MAXQDA license, you can download the 14-day free trial shortly before the workshop. 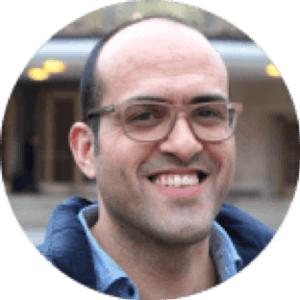 Francisco Freitas is an experienced data science field researcher, software instructor, research methods lecturer, and consultant. His special research interests include risk, regulation, research methodologies, and big data. He studied Sociology, Risk Analysis and Geographical Information Systems (GIS) and is a long-time partner of Verbi GmbH for the development of the Portuguese version of MAXQDA software. As a practitioner, he has taken part in several multidisciplinary research teams, and has extensive experience in the field of both qualitative and quantitative research methods, as well as grounded theory and qualitative content analysis methodologies. His responsibilities repeatedly encompass all the stages of data collection and analysis, along with mapping and spatial analysis tools rendering.